Firstly, we come and pick up at the port and then transfer directly to Hue city. On the way, we will stop en route for some photograph. 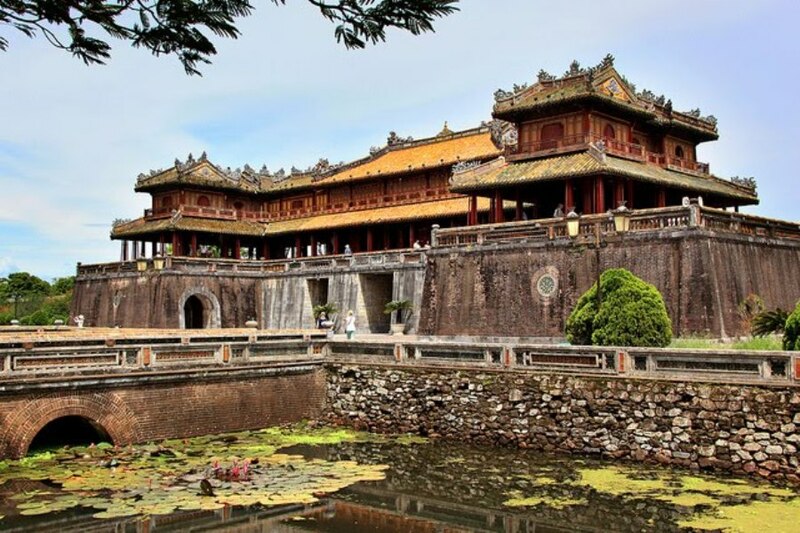 At arriving in Hue, we will visit Hue Citadel – the former homes of Nguyen royal family with 3 walled cities built from 1805 till 1832. 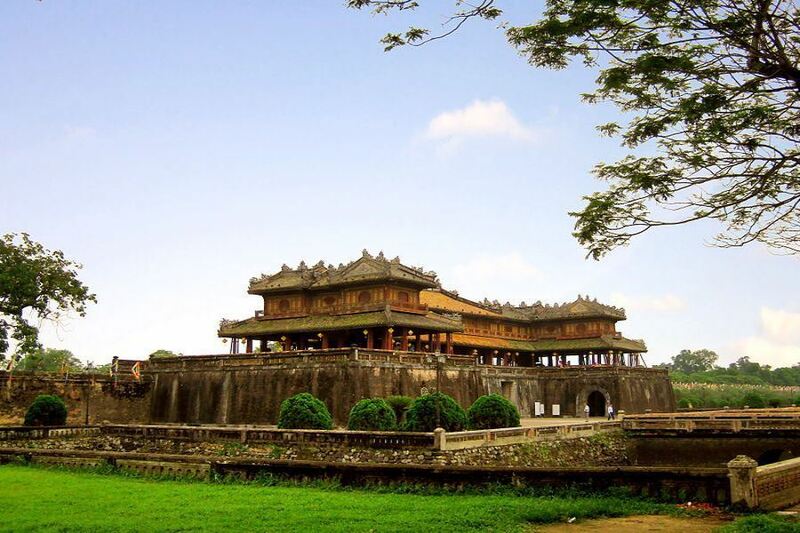 Then we wander around and visit Imperial city gate, following with visits to Royal Theatre, Truong Sanh Residence ect. Unluckily, most of buildings were ruined by the war in 1968 but many of them are being restored. 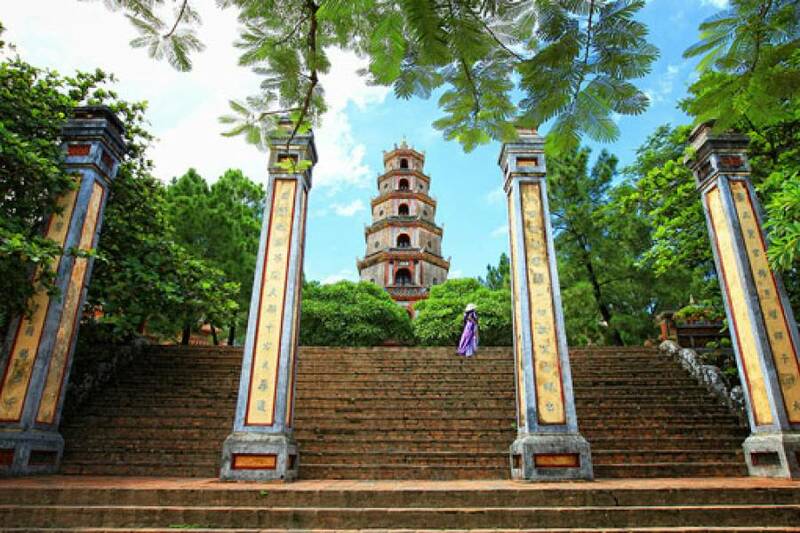 Next, we drive to visit Heavenly Lady Pagoda (Thien Mu Pagoda) – the oldest pagoda in Hue. 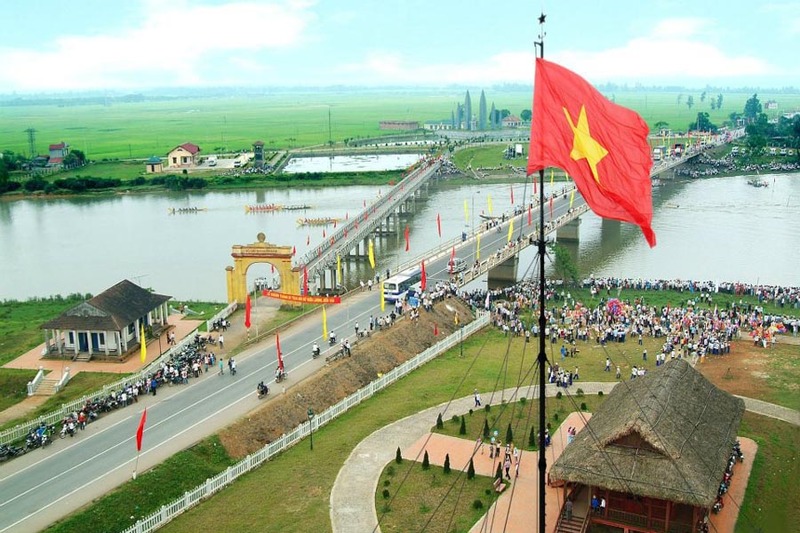 So, the pagoda was built in 1601 and overlooking Perfume river, Thien Mu Pagoda an ideal spot for the Emperor in the old days and for the local people today to come and enjoy and practice Buddism in Hue city. Thus, in front of the spot is a 7-storey Phuoc Duyen Pagoda and Dai Hung Sanctuary in the middle of the complex. And behind the spot is an old car of Superior monk Thich Quang Duc used for his self-immolation in Saigon in 1963. 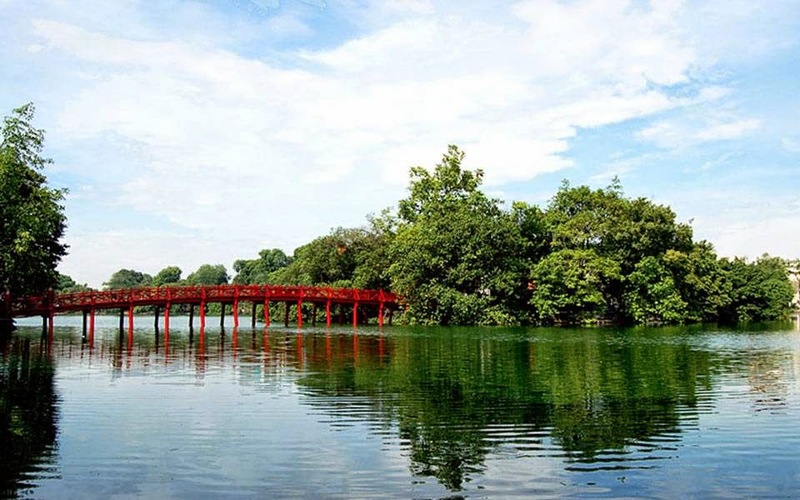 Later, we will visit Tu Duc tomb – the fourth Emperor of Nguyen Dynasty. Located in a lush green garden with small lakes, hills and temples, the tomb was built from 1864 and finish in 1867 and known as the summer resort and second home for the Emperor. At arriving here, we will visit Hoa Khiem temple where the Emperor and his Queen are worshipped. 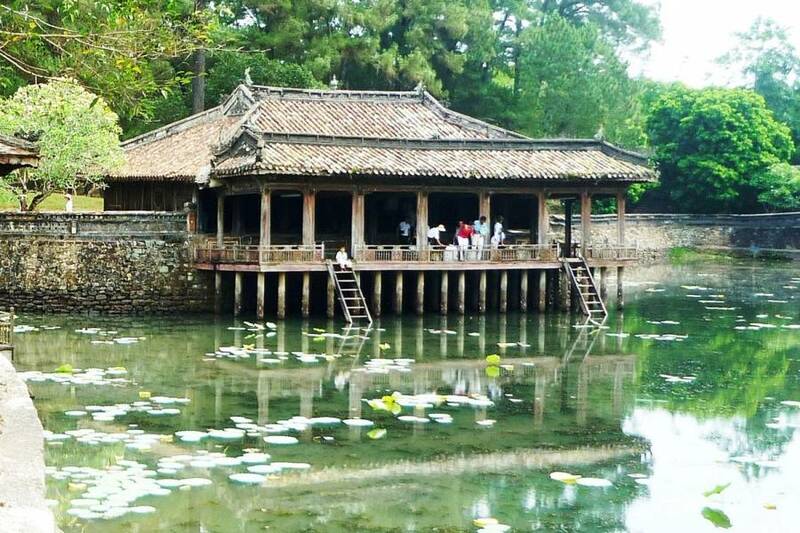 Continue the tour with a visit to Xung Khiem Pavillion and finally to the burial place of the Emperor. Lastly, we will take you back to the port. Our Central Vietnam Shore Excursions to Hue is ended here. To begin the trip, in the morning we will come and meet you up at the port and we will continue our trip. We first pass by beautiful Da Nang city with high rises and beaches filled with resorts, hotels. We then first visit Marble Mountains. Consequently, the Marble peak with five mounts which symbolize for five Oriental elements: Water, Wood, Fire, Metal and Earth. The site is popular place with all Budist sanctuaries, temples, pagodas dating back centuries ago. Upon reaching the site, we take elevator up and have a pretty view of Non Nuoc beach and Marble district. 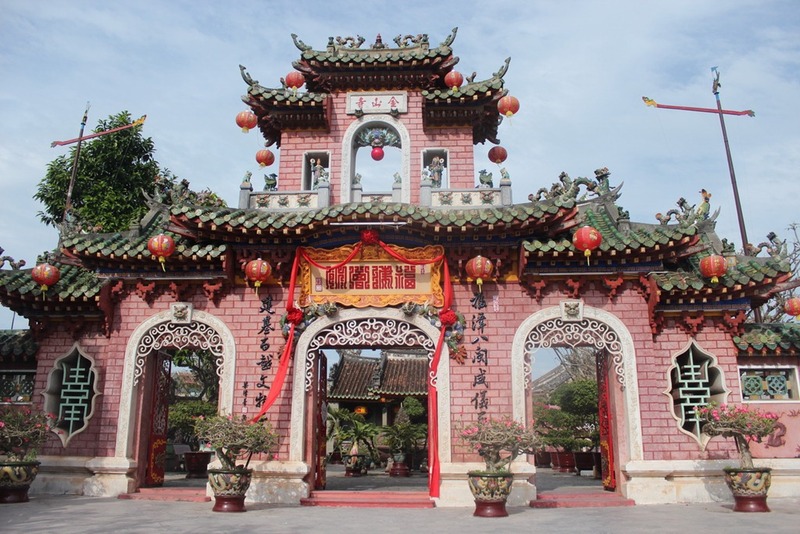 Followed by a tour to 7-storey Xa Loi tower then Linh Ung Pagoda with elaborate Chinese influences. 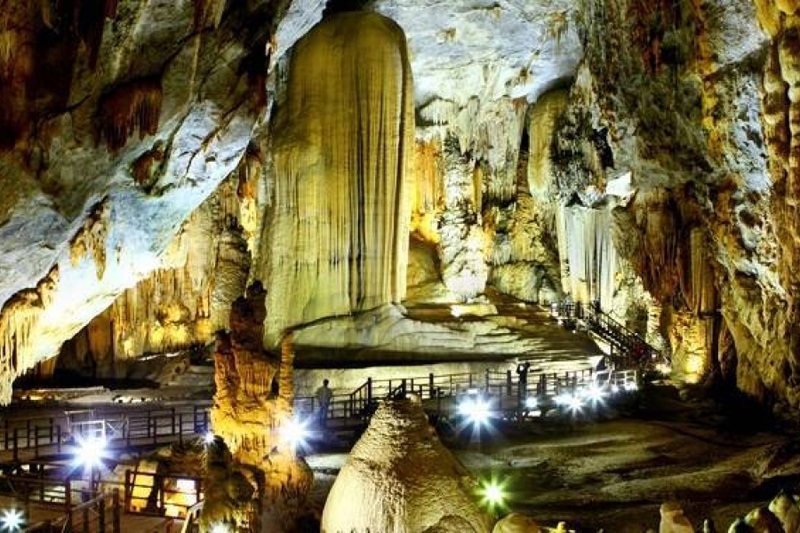 Next, we will come and visit the former hospital of the area in the war – Huyen Khong cave. 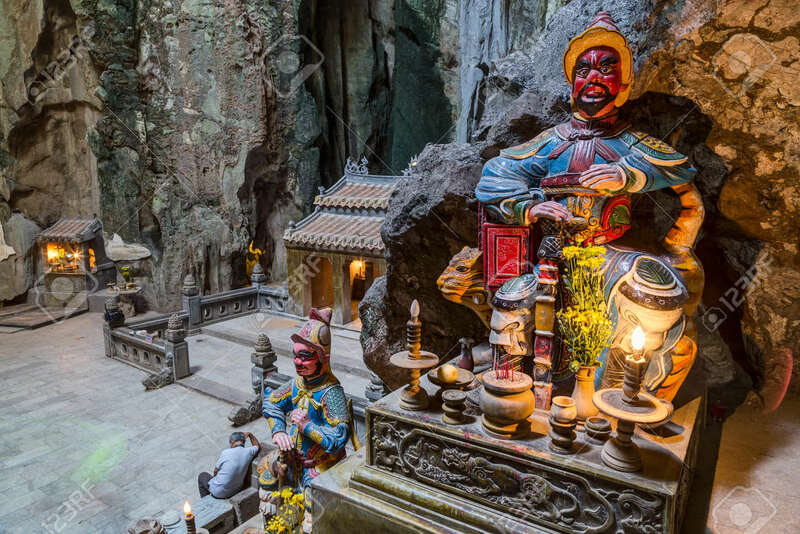 This cave is picturesque with all incense mixed up with sunlight and smoke making the cave worth a visit. Finishing up the trip, we then go back down and then our car will transfer us to Hoi An for Hoi An city tour. 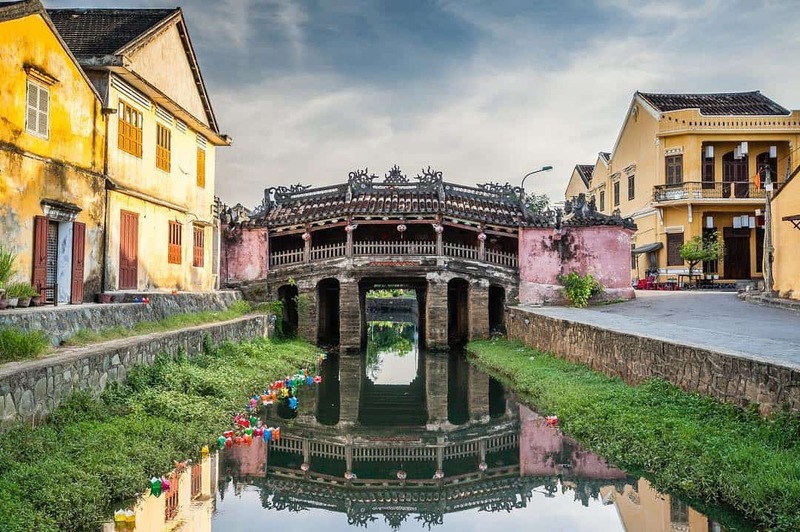 On arrival in Hoi An, we are then off to Japanese covered bridge – the symbol of Hoi An people. 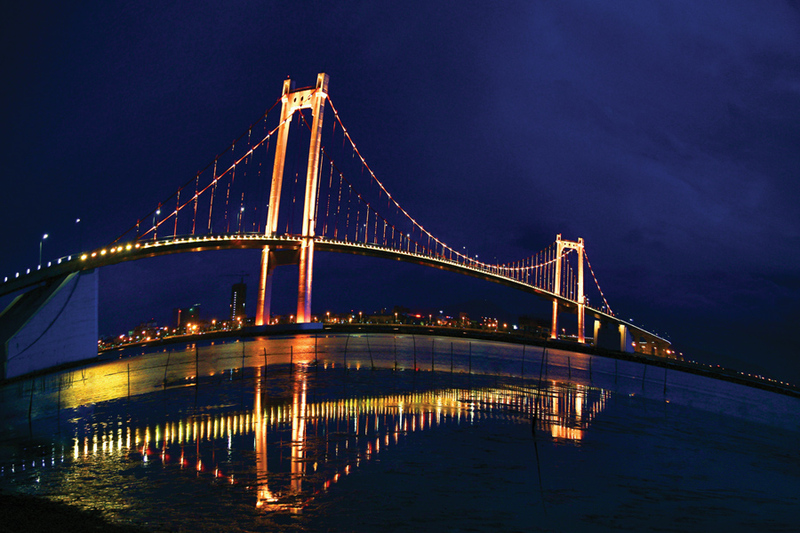 So, the bridge was built by the Japanese traders for the purpose of trade in the old days. 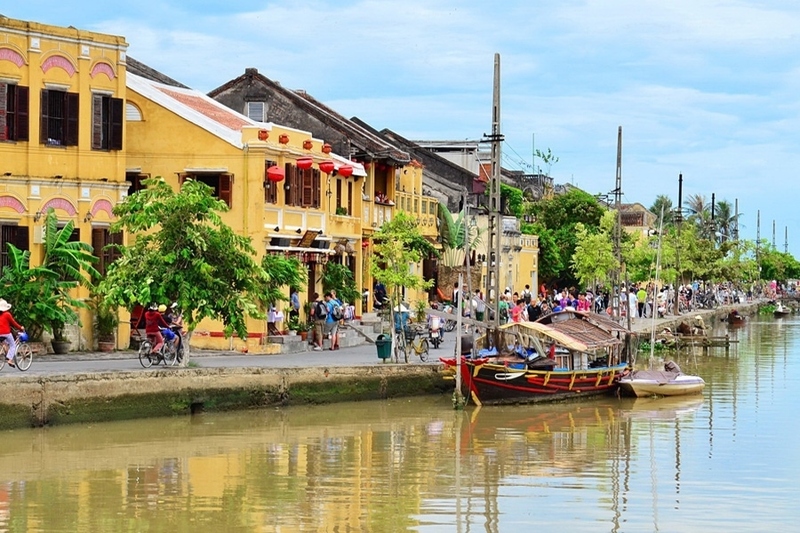 Today, it is a must see spot when you are in Hoi An. On two sides of the bridge are statues of monkeys and dogs. And in the middle there is a small pagoda to worship God of Water. 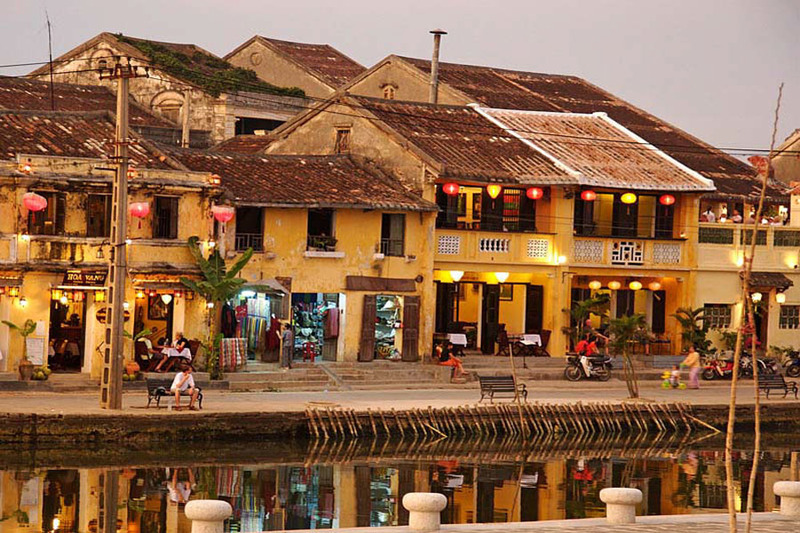 To move on the tour, we then head to old house of Tan Ky, the former trading house in Hoi An. The house strongly reflects 3 different architectures: Vietnamese, Chinese and Japanese. In the meanwhile, the house is divided into 3 apartments: the front for sale, the middle as living room and the back where the family loaded the goods in the old days. Coming inside the house and admire unique interior design and see how the local people live will be an interesting experience for you. Eventually, we then move to a Chinese Assembly Hall – Fujien temple. Thus, the temple was built in the 17th century as a place for Fujien people to come and pray. By the way, they also pray for good business and to ancestors. The function of temple now is dedicated to Thien Hau Holly Mother or Goddess of the Seas. There is an open space in the middle for ventilation and behind are three altars for God of Wealth, Ancestors and Children. 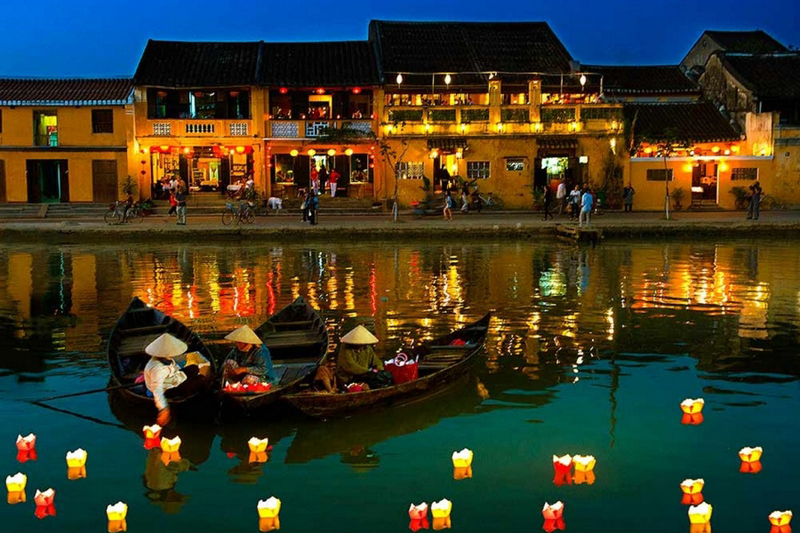 After all, we then transfer you back to the port and our Central Vietnam Shore Excursions to Hoi An is finished here. In the first place, we come to pick you up at your cruise and directly take you to My Son Sanctuary. On the way, we are going by green paddy fields, rustic villages of Vietnam. If you want, we can make a stop for you to take pictures of water buffoles or farmers working in the fields. Reaching at My Son Sanctuary, we get buggy transfer then a short walk to go inside. So, My Son was built by the Cham people from 7th to 13th centuries. Long time ago, My Son was the sacred place for the Cham people to come to give offerings to Hindu Gods of Shiva, Brahma, Vishnu. And by the way, they prayed for their best wishes of good luck, abundant rice crop, better weather and prosperity. Therefore, My Son has an outstanding history in the development of Hinduism in Southeast Asia. It played a vital role and the most typical Hindu architectural complex in the region. On arrival in My Son, we will wander off around and pay a visit to the main area of B, C, D groups. By the way, you can admire the skillful hands of the Cham people by using tree oil to glue all bricks together. Then following up is to cross the stream to visit groups G and E, F before heading back to the car and then we drive back to the port. Finally, our Central Vietnam Shore Excursions to My Son Sanctuary is ended here. 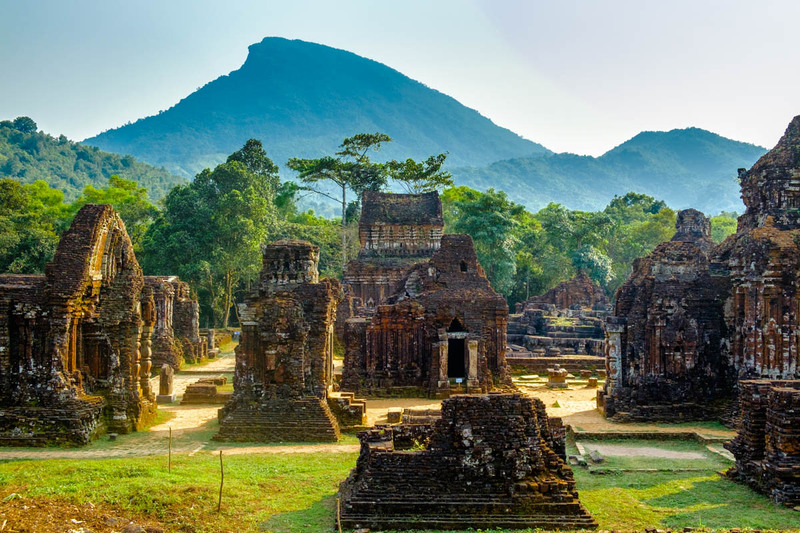 Kindly contact us at premiumvietnamtravel@gmail.com or via Whatsapp at 0084 979613777. It is an honor for us to serve you. 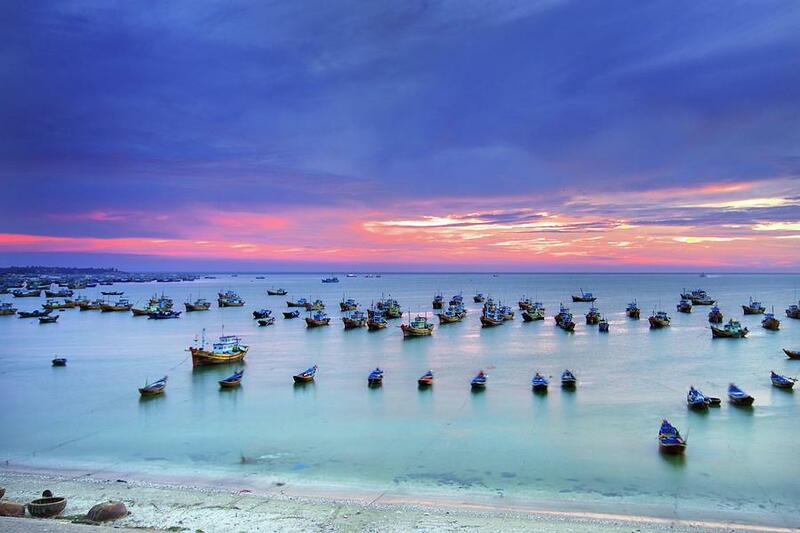 How can you book Central Vietnam Shore Excursions?